What’s your “chronotype”? 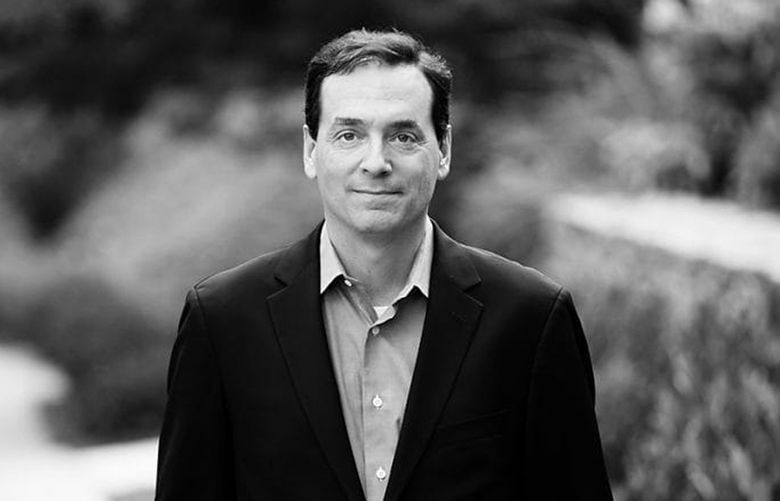 Author Daniel Pink talks about “When,” his latest book about working smarter. They say timing is everything. Yet when it comes to how we work, it’s often not given much thought at all. We work 9 to 5 (or 7 a.m. to 7 p.m.) not because that’s when our bodies work best, but because that’s when we’re supposed to show up. We spend weeks preparing a pitch presentation for a new client, but give no thought about when we give it. We spend the first two hours answering email in our inboxes rather than doing our most challenging work. But in Daniel Pink’s latest book, timing really is everything. What’s your “chronotype”? When’s the best time of day to do your hardest work? What does research say about giving good news or bad news first? Pink, the longtime business author and former speechwriter for former Vice President Al Gore, answers these questions and more in his latest addition to the work-smarter genre, “When.” Well known for his popular books that apply research from psychology and other social sciences to motivation, creativity and sales, Pink delves into one of the less frequent questions about our jobs: Not just what, how or with whom we do our work, but when – the best time to take breaks, start a new project or compete in a bid for new clients. Pink’s book went on sale earlier this month, no doubt timed for when people make all those New Year’s resolutions about working more effectively in the new year. The conversation below has been edited for length and clarity. Q: Where’d you get the idea for this book? A: I realized I was making all kinds of “when” decisions in my own life. When in the day should I work out — early or late? When should I abandon a project that isn’t working very well? How should I configure my day for maximum productivity? I realized that there weren’t very good answers — I actually wrote this book so I could read it. There’s a huge amount of research out on this topic, in a whole array of fields: Fields I’m comfortable with, like economics and social psychology, and things like endocrinology where I had to read a paper three or four times to realize what they were saying. Q: Or “chronobiology” – which is what? There’s a period of day when we’re at our peak, and that’s best for doing analytic tasks things like writing a report or auditing a financial statement. There’s the trough, which is the dip — that’s not good for anything. And then there’s recovery, which is less optimal, but we do better at insight and creativity tasks. Q: But many of us don’t have control at work over what time we do things. Are workplaces starting to wake up to this? A: Not that many. There have been a couple of experiments: A chronobiologist did an experiment with a German industrial company where he allowed people to configure their day based on their chronotypes and, not surprisingly, satisfaction and productivity went up. To me, the bigger issue here is that we have thought of “when” as a second order question. We take questions of how we do things, what we do, and who I do it with very seriously, but we stick the “when” questions over at the kids’ table. Q: What is it about a new year? How does our psychology influence how we think about that and making fresh starts? A: We do what social psychologists call temporal accounting — that is, we have a ledger in our head of how we are spending our time. What we’re trying to do, in some cases, is relegate our previous selves to the past: This year we’re going to do a lot better. People managing corporate change can take advantage of that. Managers shouldn’t start a corporate change initiative on a Thursday — start it on the day after a federal holiday, or at the beginning of a quarter, or on a Monday. There is absolutely no reason you can’t, but it’s a quirk of our psychology. It’s similar to research that shows people are twice as likely to run a marathon at age 29 as they are at age 28 or 30. There’s no reason for that. There’s no physiological difference between a 29-year-old and 30-year-old. It’s just a quirk of how we think about time and how we think about endings. Endings have this power to galvanize us. Q: Let’s talk about breaks. There’s all these different theories about the approach. Does the science say one is better than the other? A: I’m skeptical of any claim that says it should be 14 minutes or it should be 17 minutes. I don’t think the evidence is there for that. What the evidence does tell us, though, is a broader set of design principles, the most important of which is that breaks are much more important than we realize. Fifteen years ago, someone who pulled an all nighter or got by on two hours of sleep was seen as a kind of a hero. But fewer people today think that not getting enough sleep is a good idea, and that’s largely because the science of sleep started pointing us in that direction. I think breaks are following the same trajectory. Many hard-core workplaces think of breaks as a deviation from performance, when in fact the science of breaks tells us they’re a part of performance. Research shows us that social breaks are better than solo breaks — taking a break with somebody else is more restorative than doing it on your own. A break that involves movement is better than a stationary one. And then there’s the restorative power in nature. Simply going outside outside rather than being inside, simply being able to look out a window during a break is better. And there’s the importance of being fully detached, and going outside rather than looking at your email. Every day I write down two breaks that I’m going to take. I make a ‘break list,’ and I try to treat them with the same reverence with which I’d treat scheduled meetings. We would never skip a meeting. Q: One of the issues you explore is when it pays to go first — whether you’re up for a competitive pitch or trying to get a job. When is it good to go first? And when is it not? A: Here’s where you should go first: If you’re not the default choice. Say one company has the business and they’ve put it out for bid. Seven other companies are pitching and there’s an incumbent. If you’re not the default choice — and there are relatively few competitors — you’re better off going first. If you are the default choice, you’re better off not going first. What happens is that early in a process, people are more likely to be open-minded, to challenge assumptions. But over time, they wear out, and they’re more likely to go with the default choice. That’s one of the big takeaways of that judges research I cite: Late in the day, when the judge is worn out, they basically just resort to the default choice. For parole judges, that means not granting parole. Also, if you’re operating in an uncertain environment — and this is actually really important — where the criteria for selections are not fully fully sharp, you’re better off going at the end. In the beginning, the judges are still trying to figure out what they want. Q: What’s the “uh-oh effect,” and how can leaders use it to motivate people? A: The typical pattern we think project teams follow is not true. We think we have the beginning, and then it gets going, and it will move linearly to the end. In fact, what researchers have found is that at the beginning, project teams pretty much do nothing. They bicker, they dicker. Yet astonishingly, many project teams she followed ended up really getting started in earnest at the exact midpoint. If you give a team 34 days, they’ll get started in earnest on day 17. This is actually a big shift in the way organizational scholars thought about how teams work. Q: So what should a leader do to harness that? A: There are two key things a leader can do at a midpoint. One is to identify it to make it salient: Say, “OK, guys, it’s day 17 of this 35 day project. We better get going.” The second comes from research on basketball. It shows that when teams are ahead at the midpoint, they get complacent. When they’re way behind at the midpoint, they get demoralized. But when they’re a little behind, it can be galvanizing. So what leaders can do is suggest hey, we’re a little bit behind. Q: When you’re giving feedback to employees, should you give good news or bad news first? A: It’s not even close. This is one where I changed my own behavior. I always gave good news first. I didn’t want to come on too aggressively, I didn’t want to seem like a jerk and I wanted to offer a cushion first before bringing down the hammer. That is wrong — the research tells us this very, very clearly. If you ask people what they prefer, four out of five prefer getting the bad news first. The reason has to do with endings. Given the choice, human beings prefer endings that elevate. We prefer endings that go up, that have a rising sequence rather than a declining sequence. What happens is we tend to think that we ourselves are special. When we give feedback we think, ‘Oh, that person can’t possibly want the bad news first, even though I do — I’m so unique.’ And so we act in ways that are different from our own preferences because we think other people don’t have the same ones.